Hey Guys! It's that time again. Throwback Thursday is a weekly meme created by us where we revisit a favorite book from our childhood. This week, I chose a personal favorite that is actually very meaningful to me. This book is so cute you guys. I'm going to spoil the story in order to share my special connection. Chester's mom kisses the palm of his hand and says that whenever he's feeling scared that he should put his hand to his cheek and know that his mom loves him. Cute, right? 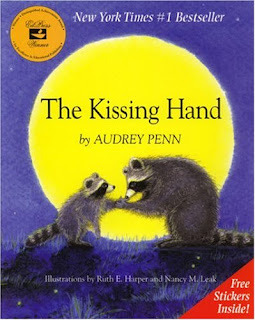 My mom read this book to my brother and I all the time when we were growing up and she would kiss the insides of both of our palms and tell us the same thing. I'm feeling a little emotional just talking about it (Love you Mommy). Okay guys. See you later.